Those who don't remember history are doomed to repeat it, says the journalist and author of The Panic Virus. He chooses five gripping reads on vaccines, "medicine's greatest life-saver." Seth Mnookin is an American writer and journalist, and co-director of MIT’s Graduate Program in Science Writing. His most recent book, The Panic Virus: The True Story Behind the Vaccine-Autism Controversy, won the National Association of Science Writers 2012 “Science in Society” Award and the New England chapter of the American Medical Writers Association’s Will Solimene Award for Excellence. I wanted to start by saying I really, really enjoyed these books, I found them absolutely gripping. They have all the elements of a great story: life-and-death situations, heroes who risk their lives for the greater good and then, ultimately, triumph: there are so many diseases we no longer have to worry about our children dying from. Thank you, that’s good to hear! One of the things that is really important and that I think a lot about in my work is writing serious non-fiction books that are also page-turners. I feel there’s no reason you can’t have a non-fiction book be a serious piece of scholarship and still read the way a thriller would. So that was probably reflected in my choices. Why do you think it’s important for the average person to know about vaccines and their history? This is a clear situation where those who don’t remember history are doomed to repeat it. We’ve already been seeing that over the last five to ten years in the US, Western Europe, and a number of other countries around the world. Vaccines have become a victim of their own success. Because they have been so successful in dramatically limiting or, in some cases, totally eliminating various infectious diseases, the generation that is having kids today doesn’t really understand what the risks of not vaccinating, of some of these diseases, are. As a result, you have pockets of people who are choosing not to vaccinate, and we’ve seen huge explosions in a number of vaccine-preventable diseases. There have been deaths from measles in the US and Europe, which is shocking because it’s totally unnecessary. Also, just a few days ago in Pakistan, there were some more murders of vaccine workers. We live in a time when we’re more inter-connected as a planet than ever before, and that makes us more vulnerable to all types of infectious diseases. At the same time, we don’t always have the collective memory of what some of these diseases can do. 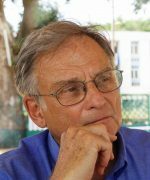 One of the things that really struck me when I read David Oshinsky’s book Polio is that not long ago, within the lifetime of plenty of people that I know, you had cities and states and at different periods, huge swathes of the country, living in terror of this disease which we have now essentially completely eliminated in the US. Yes, just over 60 years ago, people in America were scared of letting their kids go to the swimming pool or the cinema in summer in case they caught polio. They didn’t even know how it spreads. That’s also something that I find fascinating, and probably why I included Steven Johnson’s book [on cholera] as one of my five: the ways we react as humans when we don’t know the cause of something, and how incredibly easy it is to make a wrong set of assumptions. In terms of cholera, the belief that it was transmitted through smell was so strong that when there was this alternate theory which, one would think, made much more sense, there were so many challenges involved in getting people to even concede that it could be true. Same thing with polio — all of the various measures that were taken, and the way you had enormous regions just paralyzed by fear because some members of the community were being, literally, paralyzed by a disease. Another thing that’s fascinating about polio is that we now know that FDR in all likelihood did not have polio, and yet, without him, and without the March of Dimes, the polio vaccine wouldn’t have been developed and rolled out when it was. A lot of times it’s easy to look at science and advances in medicine as occurring in vacuums. A common thread through all of these books is that they highlight how that is never actually true. Science is always done within the context of the society in which it’s being conducted and medical advances are within the framework of a social and political and all other kinds of orders. I think these books do a really nice job of illustrating that, without downplaying the importance and essential aspect of the science itself. Let’s go through the books individually. 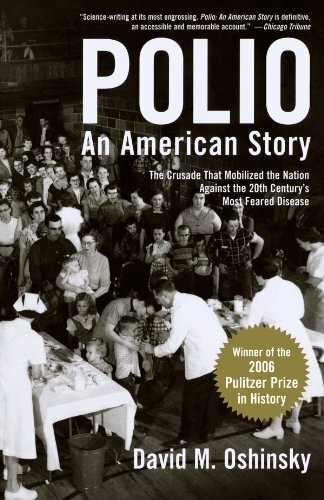 Do you want to add anything about David Oshinksy’s book, Polio: An American Story and why you chose it? What I find so impressive about this book is that Oshinsky really does cover the whole history of a disease but does so in a way that you never feel you’re getting a CliffsNotes version. 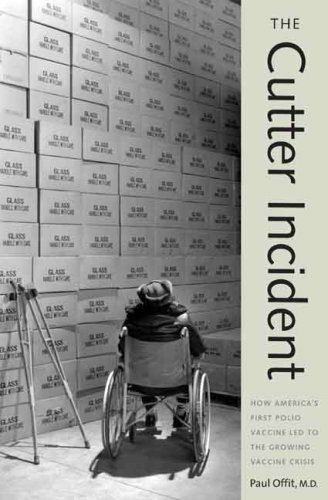 It’s a pretty unwieldy topic: you could write an entire book just about the year the polio vaccine was rolled out, or what happened since then, or you could write a book, as Paul Offit did, just about the Cutter incident. All the way through Polio you feel like you are getting all the details you would want or need. To combine that much information in a way that was not only accessible and exciting and readable but also scientifically rigorous was a real, real accomplishment. Next on your list is Arthur Allen’s Vaccine: The Controversial Story of Medicine’s Greatest Lifesaver. I suppose the title says it all. I thought this was just a fantastic book. Arthur is a wonderful writer. 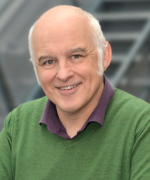 He covers the huge sweep of the story — he goes back to variolation and Edward Jenner and then takes it all the way through the development of vaccines, the nationalization of vaccine programmes, various social pressures, up to some of the more recent controversies. From my experience I know that when I’m trying to synthesize a huge amount of information, it becomes harder and harder to think about the writing itself — as opposed to just spitting everything out. But he does it in a way that at least I, as a reader, never felt it was just a document dump. For me, it had that page-turning quality all the way through, one because it is life-and-death in a lot of cases, but also because he was able to frame all of the individual stories in a way that was gripping. At each step along the way, I wanted to find out what happened next — even when, in most cases, I knew the answer. I know that polio has been eliminated in the United States. I know the story of Edward Jenner. One thing Arthur illustrates is how in almost every good thriller, the mystery isn’t what the ending is going to be, it’s how you get there. He’s able to build the mystery of how we got to each step along the way really nicely. I agree. That is one of the things that makes the book so impressive. In the world we’re living in today, the issue of vaccines is so freighted, or, as Arthur says in the title, so controversial, that it can be really tricky to write something that, on the one hand, supports the evidence for vaccines and, on the other hand, takes a really clear-eyed look at what some of the problems have been. Arthur definitely does that. You don’t get the sense, reading his book, that, “Oh this is a promotional book written by someone who is just a cheerleader for vaccines or for public health…” He really looks at where things, and how things went wrong, and talks about it. He isn’t afraid to be critical. Let’s go on to your next book, Paul Offit’s The Cutter Incident, which is also about things going wrong. Yes, that’s also why I thought The Cutter Incident was so impressive. Here’s a book that’s written by the person who is probably the most identifiable vaccine advocate in the US. He has received death threats for his work with vaccines, and there he goes and writes the first book-length study of what, by any measure, was really the worst vaccine crisis in American history. Paul Offit is Chief of the Division of Infectious Diseases and the Director of the Vaccine Education Center at the Children’s Hospital of Philadelphia, one of the leading vaccine centres in the country. He also invented one of the rotavirus vaccines. 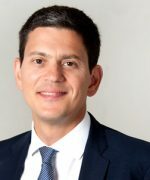 More than anyone else he has put himself on the frontlines of this debate. 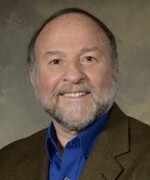 He has written a number of books about the anti-vaccine movement and about the autism controversy. He’s very passionate and willing to go on TV news shows and talk to reporters. He is someone who has not only developed vaccines but has chosen to make himself a very public spokesperson. If you look at some of his more recent books, you can see some of the topics that he’s bitten off. 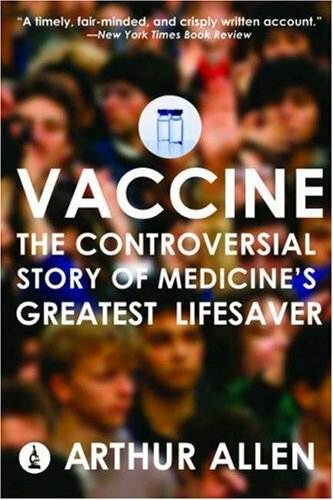 So, for someone who is really out there — defending vaccines and arguing for their importance and their safety on a daily basis — to then write a book about a time when all of the safety checks and everything that we hoped would protect people from a vaccine disaster failed, I thought was illustrative of his willingness to go wherever the evidence and the facts led him. And on top of that, it’s another incredible, fascinating story. You get this in a couple of the other books as well, this picture of just how massive the polio vaccine rollout was in the 1950s when it happened. What was the Cutter incident? So there were a small number of labs that were licensed to produce the polio vaccine. Within weeks of the vaccine being given to the public for the first time — it had been given in schools and people were lining up to get it — there started to be some evidence that there might be something going wrong with some of these vaccines. There were children who were dying or getting really sick or in some cases being paralyzed. It turned out that there was a batch at the Cutter Labs — one of the labs that had been licensed to produce vaccines — that had been contaminated. It’s a remarkable story. It’s also a remarkable story because it’s fascinating to see why and how that didn’t completely scuttle the polio vaccine campaign, which at that point had really just gotten off the ground. The answer being that people were more scared of the disease than they were of the vaccine? Exactly. And even though that incident wasn’t a good example of a really effective way to deal with a public health crisis, I think once the scope of what was going on became clear, there was a pretty quick movement both to figure out what had happened and to make sure it wasn’t happening any more and also to reassure the public to whatever extent they could. The book’s subtitle — “How America’s First Polio Vaccine Led to the Growing Vaccine Crisis” — what’s the point he’s making there? Is it that because of legal liability, there’s very few companies interested in making vaccines? Yes, that’s one of the issues that he talks about. This came to a head — and this is something that’s addressed in Arthur Allen’s book — in the 1980s when, for a period, it looked like there weren’t going to be any companies that were willing to produce vaccines to be used in the US because of anxieties about liability and fears of crippling lawsuits. That led to something called the Vaccine Court being created. Out of the Cutter incident you had a jury verdict that made the stakes for developing new vaccines much higher. There are certainly people, and Paul Offit is one of them, who feel that, as a result, there has been less development of new vaccines than there might have been otherwise. Is that a problem today, that there aren’t enough vaccine makers? It’s not an issue in terms of vaccine supply. Right now there are enough vaccine manufacturers supplying vaccines to the US that there is no imminent danger of huge vaccine shortages, although when there are epidemics — like the swine flu, H1N1 — oftentimes there are shortages in those situations. What we’ve seen more is that there’s a pretty high bar for pharmaceutical companies to develop new vaccines. They’re not worried about lawsuits anymore, but financially there’s not a lot of appetite for taking on the research and development expense as well as the risk in terms of public relations to spur as much creative work as maybe there could be. But they did come out with the new HPV vaccine relatively recently didn’t they? Yes, because it’s not just some strange phenomenon you hear about on the news: we all know people who don’t vaccinate their children. It’s really, really common. One of the things that’s so interesting about the growing pockets of people who aren’t vaccinating their children is that if you look at what diseases people are getting vaccinated against and which ones they aren’t, it makes no sense. A lot of anxiety tends to focus on the MMR vaccine or the DTP vaccine. Oftentimes someone will delay or choose not to get one of those vaccines, but they will get the polio vaccine. To me that just seems crazy. We haven’t had a case of wild polio in the US in years. The chances of getting polio — unless you’re travelling to one of a tiny number of countries, is close to zero — versus the chances of getting infected with measles or pertussis…Pertussis there have been thousands and thousands of cases recently, measles there have been hundreds of cases and measles is the most infectious disease known to humanity. I think it’s a nice illustration of how facts don’t always intrude. And the doctor who started the whole link between MMR and autism has been completely discredited? There is absolutely no evidence of a connection? Yes, to say that Andrew Wakefield — who was the lead author on the study published in the late 1990s that first posited a potential link between some developmental disorders and the MMR vaccine — has been discredited is putting it nicely. That paper has been retracted by the publication, he has been accused of perpetrating a widespread fraud, and he’s lost his medical license. The data in that paper was shown not to have come about in the way he said it came about. This is not a situation where there is one guy who thinks one thing and someone else who thinks something else and there’s a controversy. He has lost 100% of his credibility. But one issue with conspiracy theories is that any evidence that shows that a conspiracy theory isn’t true is taken by true believers as further proof of the conspiracy. So every time a new revelation comes out about Wakefield, his most ardent supporters see that as just another case of the establishment doing whatever they can to silence this maverick researcher. Which would be funny if it wasn’t so potentially damaging. 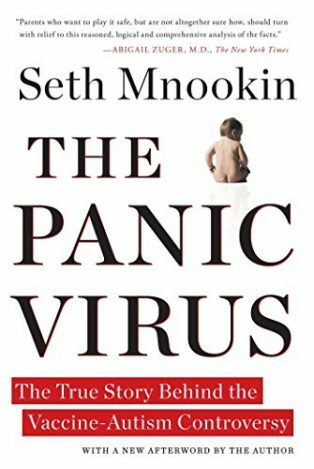 So is that what your own book, The Panic Virus: The True Story Behind the Vaccine-Autism Controversy , is about? How people came to ardently believe something that was not true? Another theme I really wanted to look at is why it is that all of us find it so hard to accept that things that we might have believed or thought were true, in fact aren’t, when there’s evidence that shows that they’re not. One of my conclusions in the book — especially looking at parts of the autism community that have organized around anti-vaccine principles — is that what you were seeing was not so much a reaction against vaccines, as the fact that there were lots and lots of families who were scared and frustrated and upset and angry about the situation they found themselves in. Oftentimes they were not getting the type of support or medical care that they needed or deserved. And I think it’s a natural human tendency to look for answers. In looking for answers to unanswerable questions — Why did this happen? Why did this happen to me? What can I do about it now? — questions to which we still don’t have a lot of answers, you have a group of people who decided “OK, this is going to be the answer that answers those questions.” One of the things I hoped to do in the book is show how that happened in this particular case, but it’s something we all do, whether we know it or not, every single day. We need to be on the lookout in ourselves, to make sure that when we are making decisions and reaching conclusions we are doing so because of facts and evidence and not because of an emotional reaction. 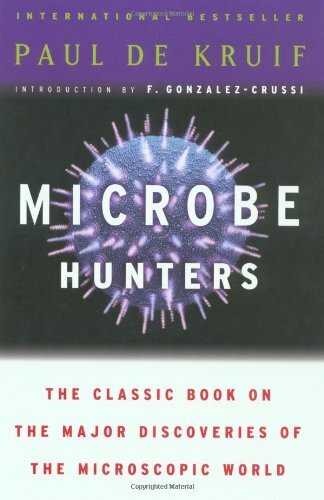 Let’s go on to your next book, by Paul de Kruif, about the Microbe Hunters. This was written in the 1920s but it’s a great book, about the people who are the heroes behind all this science, starting with van Leeuwenhoek, the 17th century Dutchman who was the first person to see bacteria. It’s such a fun book — to the extent that something about searching for microbes can be fun. I got the sense that the author was saying very consciously, “This is awesome and exciting and I’m going to show that!” I just love those types of stories. It’s one of the reasons I like The Ghost Map also: it’s really a story of this small group of people who changed our entire understanding of the world we live in and in pretty dramatic ways and with very dramatic consequences for public health and the development of new medicines. I just find that so exciting and astounding. I don’t know if you’ve ever read a book by James Watson, one of the people who co-discovered DNA, called The Double Helix, but I love that book as well. Here are two guys who “Oh wow! They just discovered the entire key to life that no one else had ever discovered before!” That’s incredible and you get that in Microbe Hunters as well. At the end I wasn’t quite sure about my overall feelings about them as individuals. They were all a bit quirky and obsessed. I don’t think any of them were in it for the money. Totally. I’m not sure I would want to go to dinner with those guys. That’s actually also true of Watson and Crick. I really like unvarnished portraits. I just bristle when I get the feeling that something is being sugar-coated. 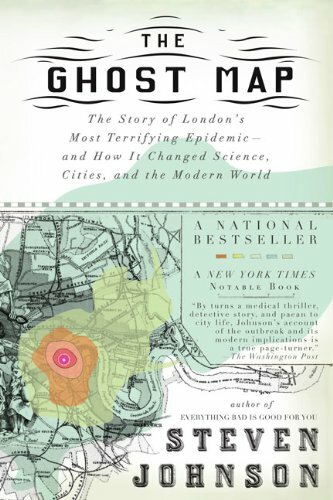 You’ve already alluded to it a couple of times, but the last book on your list is The Ghost Map: The Story of London’s Most Terrifying Epidemic — and How It Changed Science, Cities, and the Modern World. It’s by Steven Johnson and it’s about the 1854 London cholera epidemic. The Ghost Map is a book that I oftentimes give to people to show them how cool and exciting and accessible and gripping stories about scientific discoveries can be. It’s nice in that it’s not a 500 page book that is going to be too heavy to read on your lawn and it totally unfolds like the most exciting thriller. It really does show how the practice of science — which certainly today we mostly think of as occurring in sterile antiseptic labs and people very removed from the stuff of day-to-day life — is not only remarkable and fascinating and life-changing, but also really exciting and kind of cool.